(Calgary, June 26, 2015) – HK44 fighters surrounded by media, sponsors, coaches and fans filed in for the official HK44 weigh-in Thursday night in Calgary in front of the fight commission. Below are the weigh-in results for Friday night’s broadcast of the main card on Fighter Network, Claro Sports, Comcast and Time Warner Cable. Check local listings. The full fight card is available only on PPV at www.hkfc.tv and to HKFC Prime users of the HKFC MMA app available (goo.gl/H1k7jJ) for iOS and Android mobile phone and tablet users. For PPV users the live action starts on Friday, June 26 at 8:30 PM ET / 5:30 PT / 6:30 local time. The headlining main event features Ultimate Fighting Championship veteran Nick “The Promise” Ring (13-3-0), against Strikeforce veteran Cory “The One” Devela (14-6-0). Nick Ring has a 3-3 record in UFC fights including a win against middleweight Riki Fukuda. 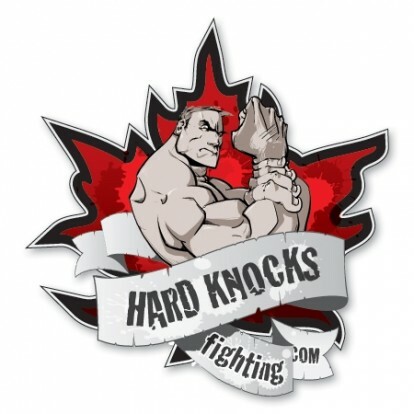 Ring returns to the Hard Knocks cage having just fought in HK43 last month. Devela has won against renowned UFC fighter Joe Riggs. Devela has won eight fights by submission and seven in the first round. Ring will be a hometown favorite as he contends the proven grappler. The co-main event is a light heavyweight matchup with former UFC and Bellator Fighting Championship fighter, Rodney “Sho Nuff The Master” Wallace (22-10-1) and UFC and World Series of Fighting fighter Kalib Starnes (16-9-1). Both fighters have gone the distance in their bouts many times and may be in for all three rounds in this match-up. Wallace recently lost to Misha Cirkunov in HK41 and Starnes recently lost in a Titan matchup against Dave Herman, making both fighters hungry for their next win.